Robert Pattinson spends most of his spare time on his own because he has nobody to hang out with. 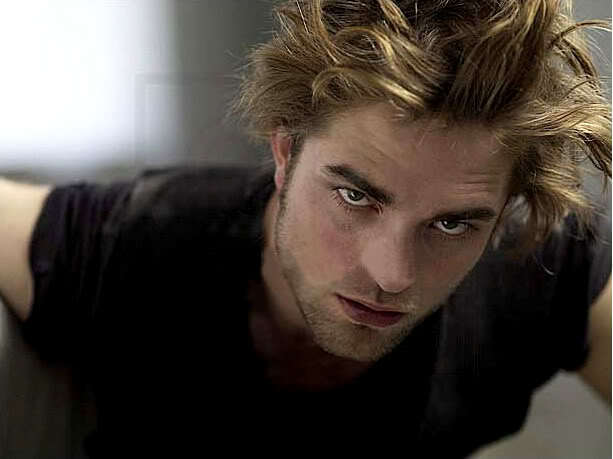 The 24-year-old British actor – who is dating his 'Twilight Saga' co-star Kristen Stewart – admits he often has to call people and beg them to let him go out with them because he hardly ever gets invited anywhere due to his hectic career. He said: "I was thinking the other day that no one ever rings me up or anything. "I just hang there (in my hotel room) and get drunk. It's terrible." Robert has made no secret of the fact he is uncomfortable with fame, and has jokingly claimed he would feel safer if he was allowed to carry a gun. He admitted in an interview with The Sun newspaper: "I want to get really good at fighting because then I can just walk down the street. "There is something about it. Or just get a gun. I would feel a little bit more comfortable walking around with a Taser. "But no, I mean, I try to avoid as much hassle as possible." The actor – who along with Reese Witherspoon and Christoph Waltz met fans at the UK premiere of their new movie 'Water For Elephants' at Westfield London shopping center – also admitted he dreams of entering politics in the future. He added: "It sounds so ridiculous for me to say I'm curious about politics and might be a politician one day. I'd love to but I wouldn't want to be held accountable."